Modern square top table with a total of 4 seats that can be concealed under the table for space saving capabilities. This Outdoor Dining Table Set table is perfect for a backyard by the pool or even a larger size balcony. Cushion covers are all weather resistant featuring a high density foam filling to provide comfort. Enjoy outdoor dining with ultimate comfort and style. Minor assembly required. Looking for ideal Outdoor Dining Table Set Manufacturer & supplier ? We have a wide selection at great prices to help you get creative. 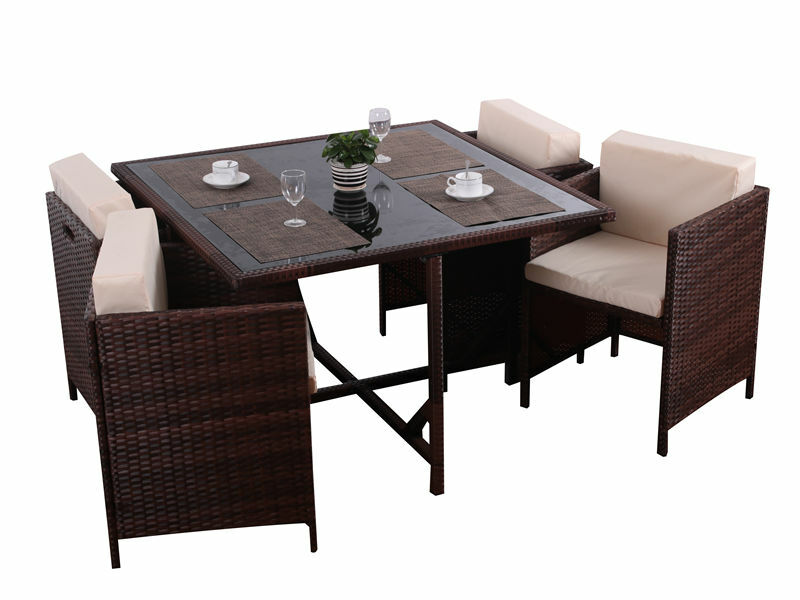 All the Patio Dining Table Set are quality guaranteed. We are China Origin Factory of Garden Dining Table Set. If you have any question, please feel free to contact us.